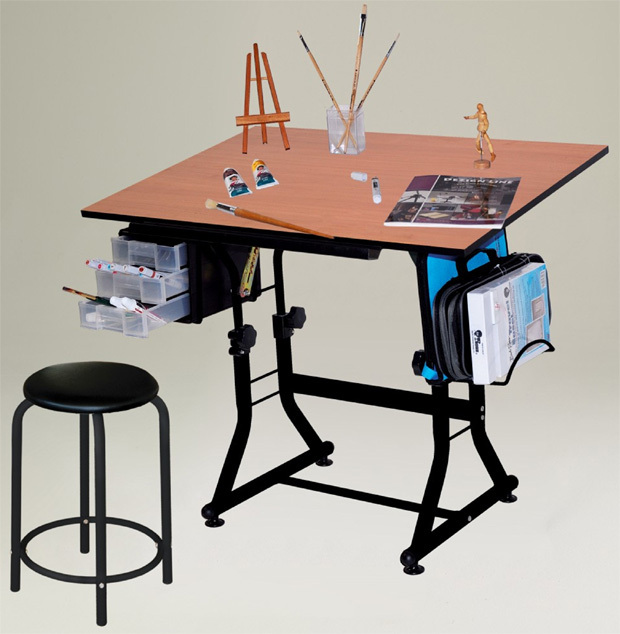 * Our drawing/craft/hobby table has a 23.5 x 35.5" top. * An easy adjustable height and tilt also with boot guides. * Includes pencil trough for holding pencils, etc. * Has 3 drawers on one side and foldable utility rack for additional storage on other side. * Includes padded vinyl cover also in black. * Art materials show not included. 39" x 25" x 6"